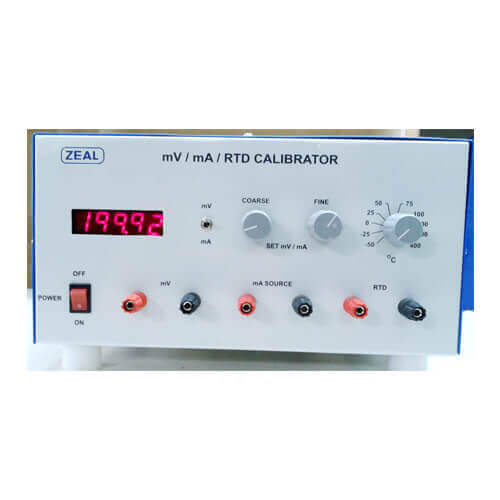 We manufacture and export of mV mA RTD Calibrators. The calibrator is a compact, lightweight, and easy to carry tool. Calibrator is a precision source of mA , mV & RTD. mA range is from 0 to 20mA. mV Range is from 0 to 200mV. RTD source is derived by fix positions of highly stable and accurate resistors. These positions simulate precision temperatures. 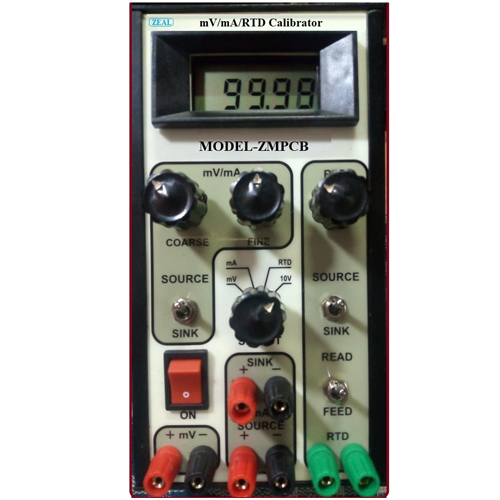 Battery operated calibrator comes with rechargeable batteries and charger. It's cost, performance makes it very popular in calibration laboratories and instrumentation plants. Input Power 9V x 2 Batteries 100mAH,With Charger.